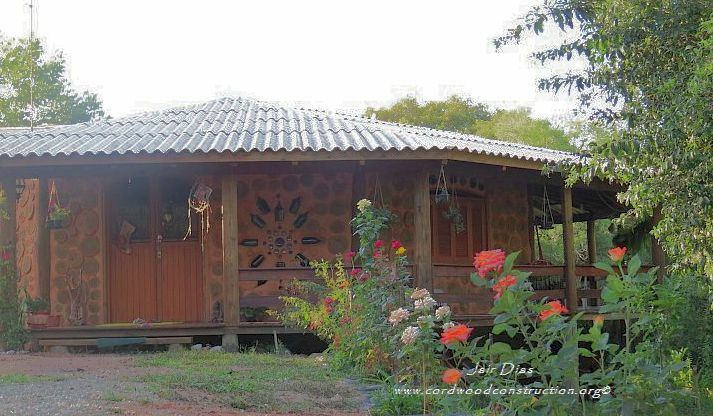 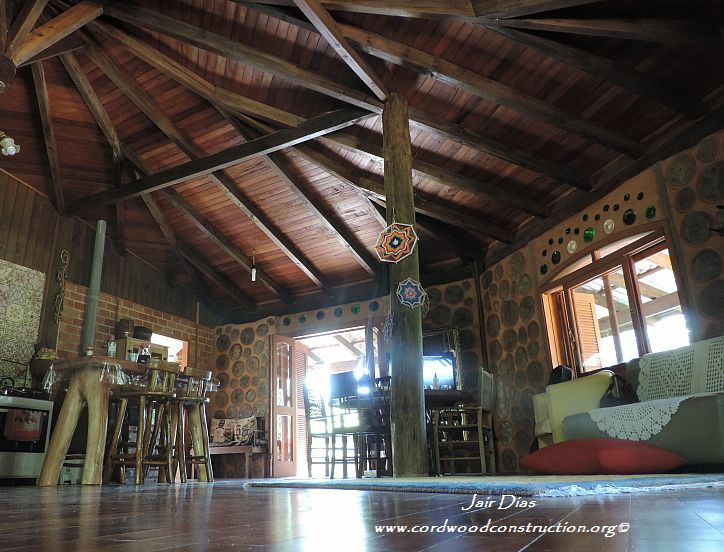 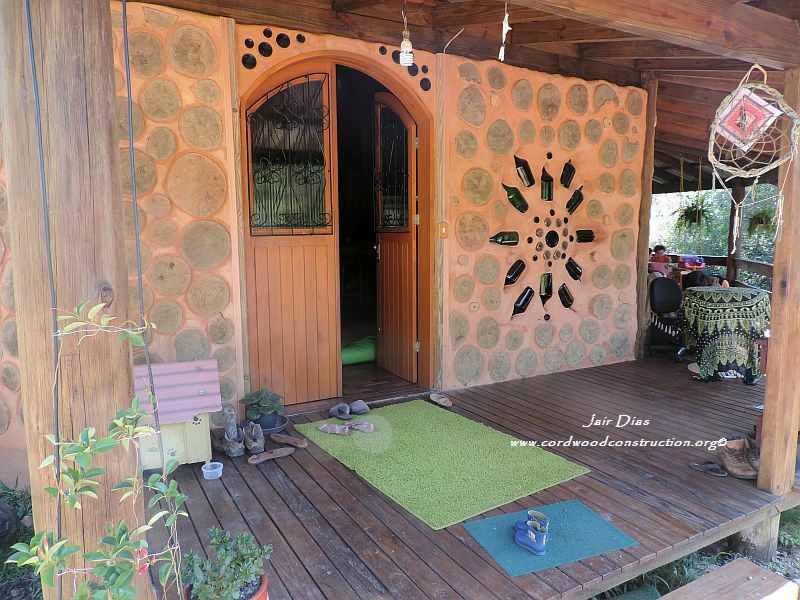 Jair Dias was kind enough to send photos of his newly completed cordwood home in the State of Rio Grande do Sul, Brazil . 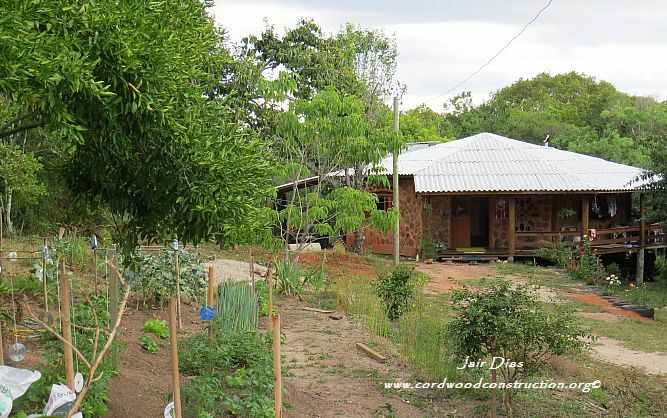 He used “pinus” for his cordwood infill and in his own words, “I tried to use only woods grown here in Brazil for use in cordwood construction. 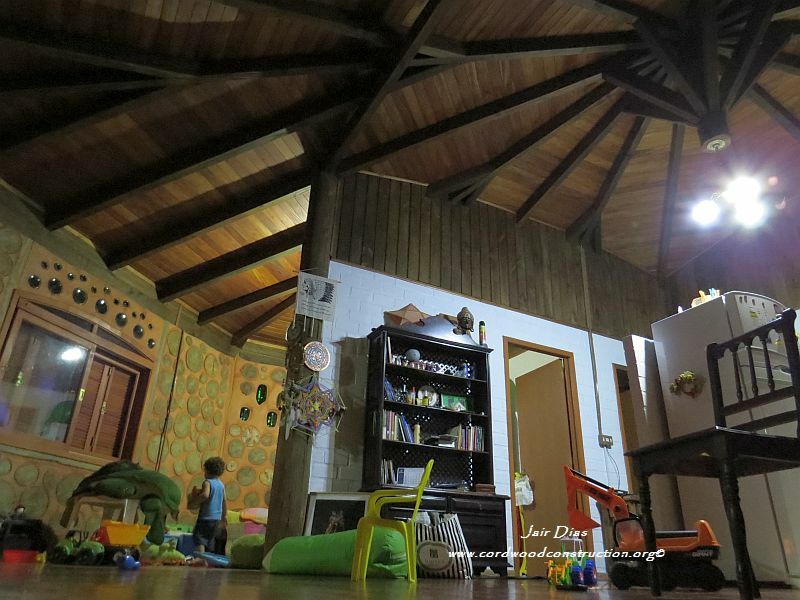 All the structural wood of the house is rustic eucalyptus and some pinus. 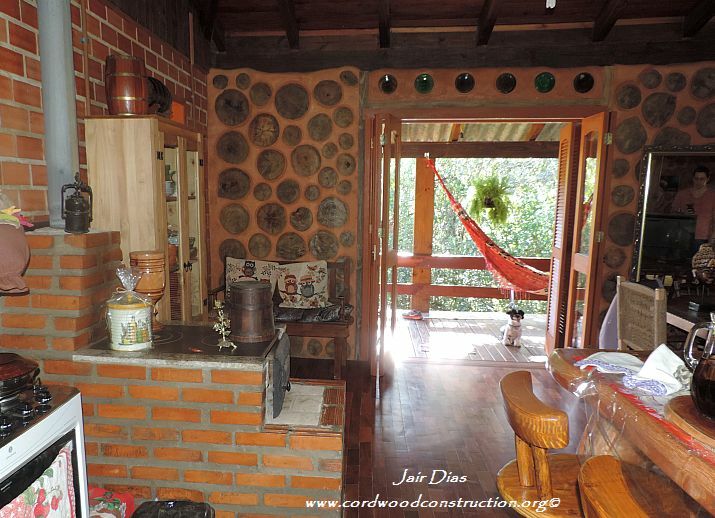 As you can see from the photos he used red clay for his cobwood mixture. 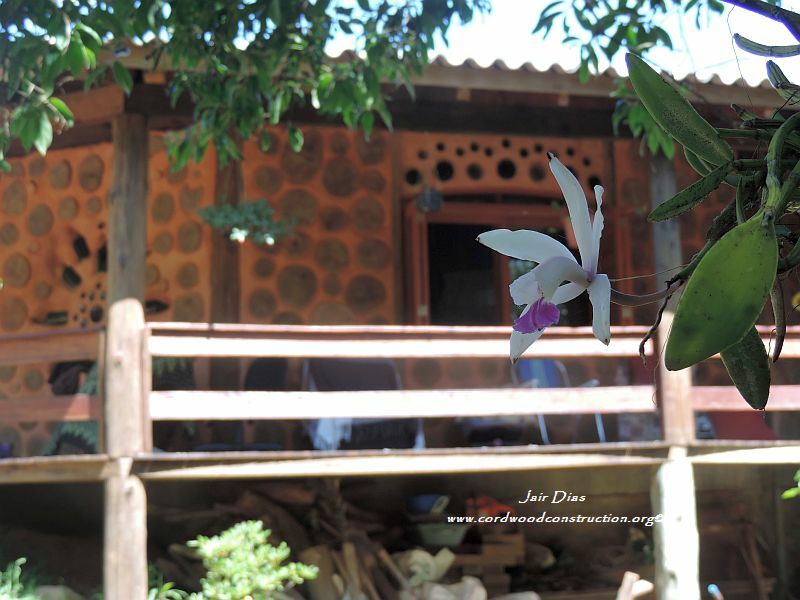 Beautiful flowers and plants all around. 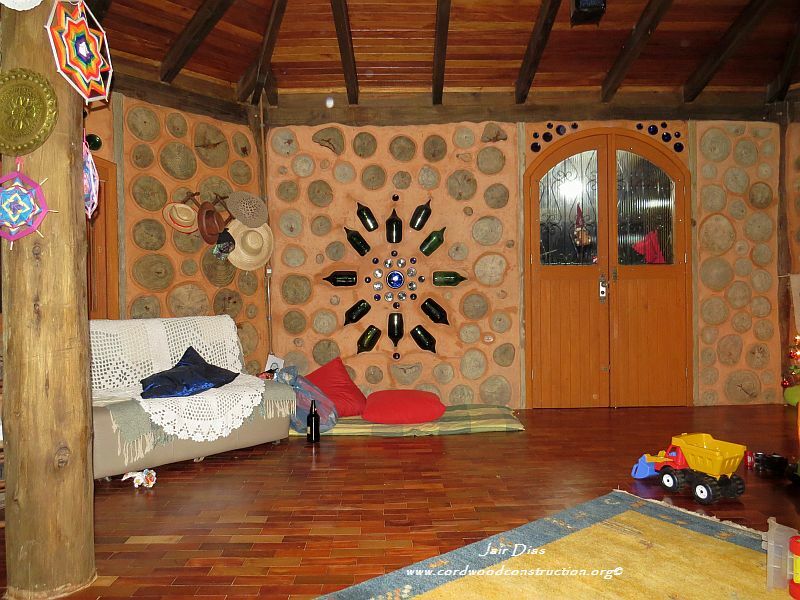 The DVD is like taking a workshop in your own living room.